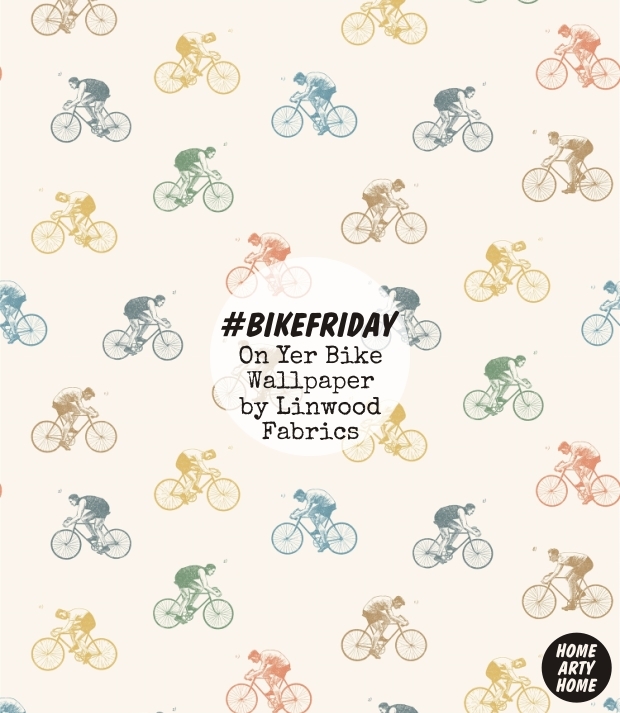 Bike Friday continues this week with a look at one of our favourite cycling finds: On Yer Bike Wallpaper. 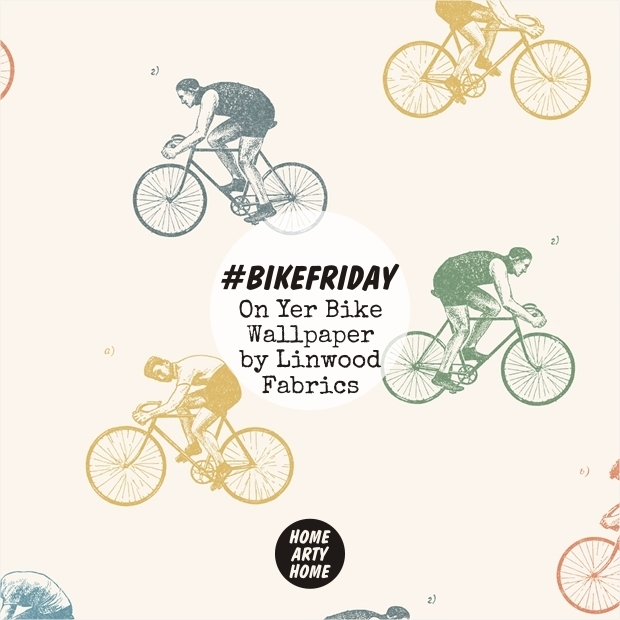 We love its vintage appeal featuring woodblock-style prints of cyclists in a subtle palette of blue, green, coral, and mustard, all on an off-white background, and can see it working in various schemes, either as a full room or on an individual wall. 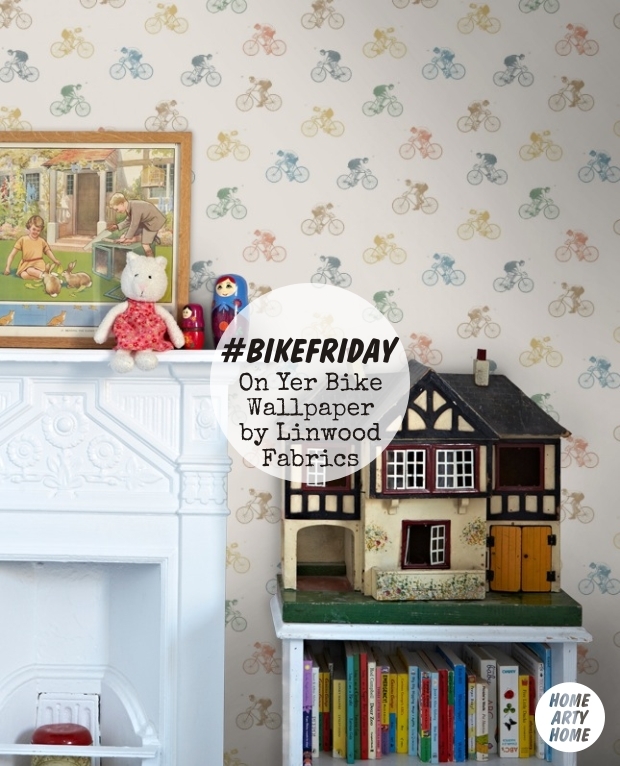 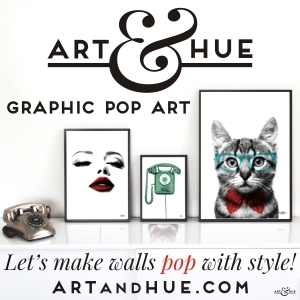 Not too grown up so as to rule out a child’s room, yet whimsical enough to add fun to an adult space, this is our pick of the bike wallpapers currently available. 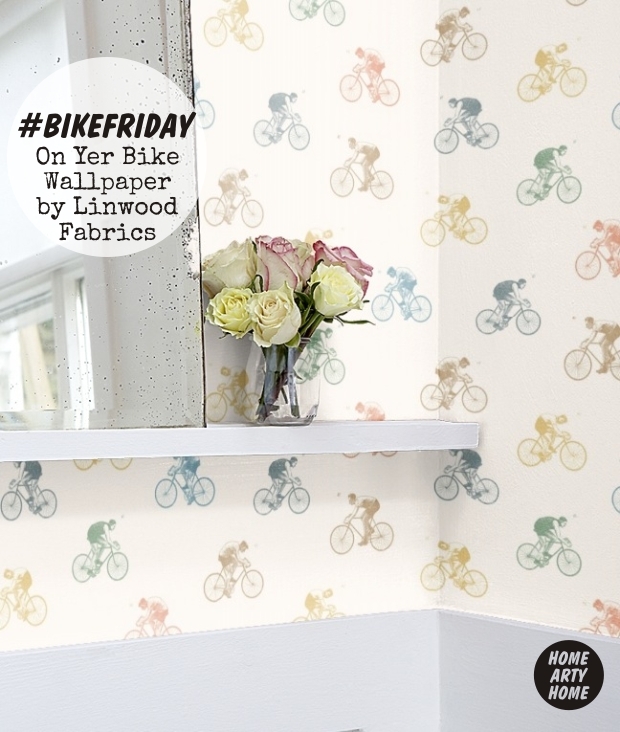 Made by Linwood Fabrics, the wallpaper is appropriately called “On Yer Bike” and is available from Wallpaperdirect at £79 per roll. 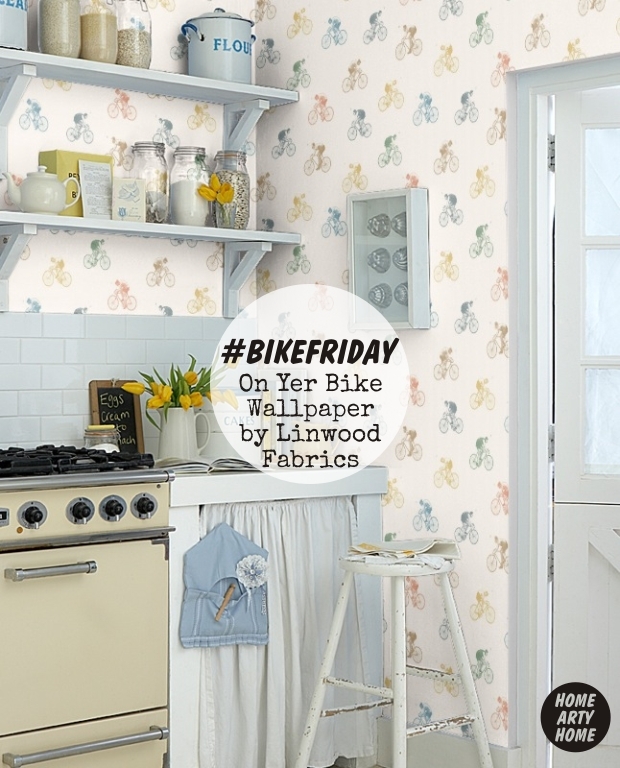 The Tour de France is still whirling its way through picturesque French countryside so we’ll be back again next Friday for more bike-inspired interior goodness.